(1) Dora 40 inch White Lacquered Bathroom Vanity with Tempered Pre-Fabricated Reflective Glass Top (White Color) - Flawlessly flattering and seductively seamless. This luxury Italian bathroom vanity is breathtaking in its design and unrivaled in it�s craftsmanship. 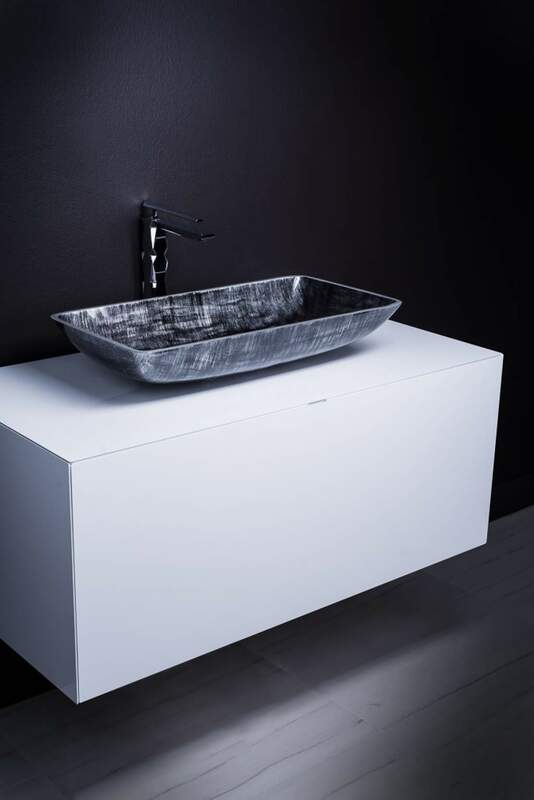 This vanity is shown in 19.8 inch white lacquered finish, handmade in 40 inch width. 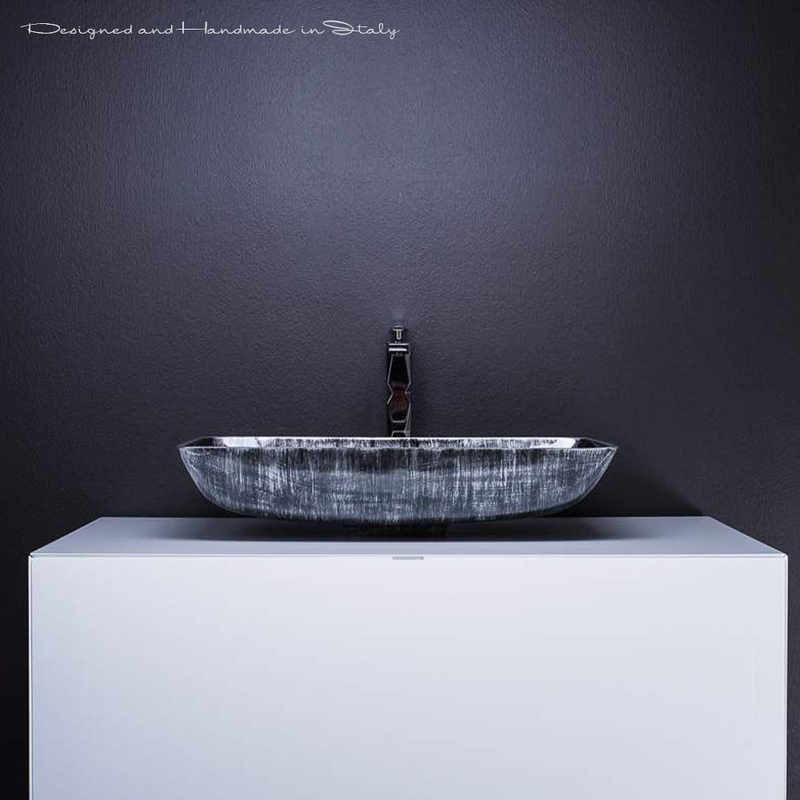 (2) Alumix Nek Black Silver Rectangular Bathroom Sink - With a rectangular top surface and round edges, seamlessly fading down to a circular bottom, this sink uses advanced aluminum alloys and special brush techniques in order to obtain light weight, durability and an optional bi-chromatic effect. The board is brushed and polished by hand to enhance the soul and color.